Astronomers have used an armada of telescopes on the ground and in space, including the Very Large Telescope at ESO’s Paranal Observatory in Chile to discover and measure the distance to the most remote mature cluster of galaxies yet found. 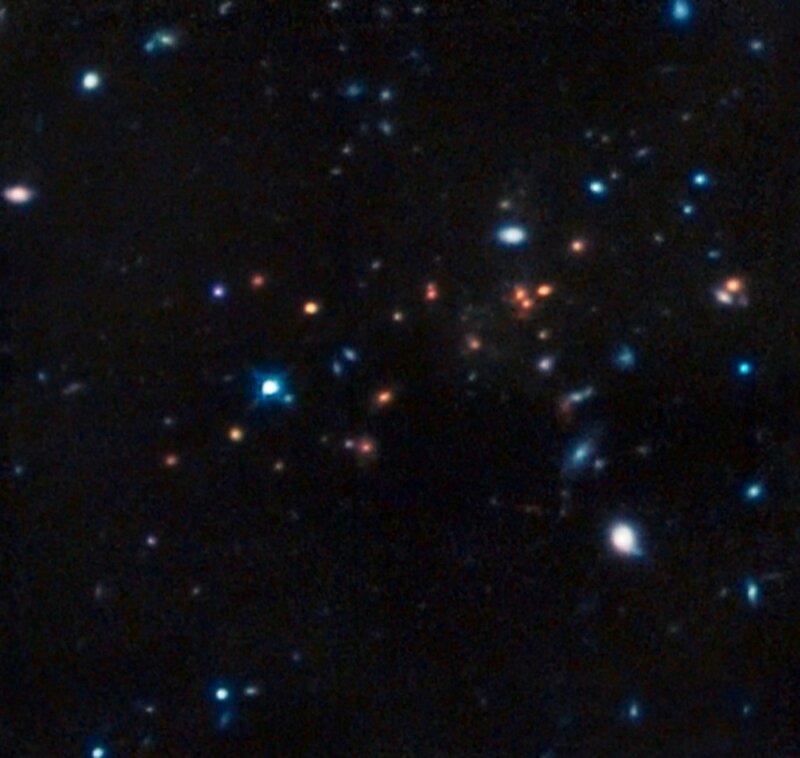 Although this cluster is seen when the Universe was less than one quarter of its current age it looks surprisingly similar to galaxy clusters in the current Universe. Clusters of galaxies are the largest structures in the Universe that are held together by gravity. Astronomers expect these clusters to grow through time and hence that massive clusters would be rare in the early Universe. 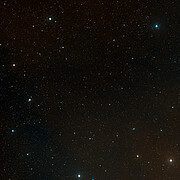 Although even more distant clusters have been seen, they appear to be young clusters in the process of formation and are not settled mature systems. 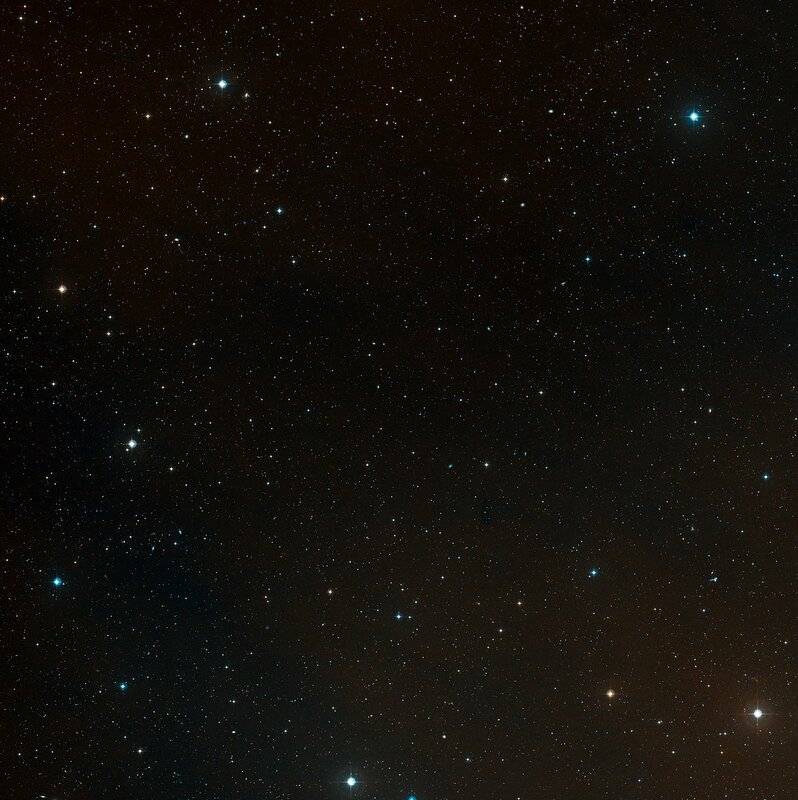 The international team of astronomers used the powerful VIMOS and FORS2 instruments on ESO’s Very Large Telescope (VLT) to measure the distances to some of the blobs in a curious patch of very faint red objects first observed with the Spitzer space telescope. This grouping, named CL J1449+0856 , had all the hallmarks of being a very remote cluster of galaxies . The results showed that we are indeed seeing a galaxy cluster as it was when the Universe was about three billion years old — less than one quarter of its current age . Once the team knew the distance to this very rare object they looked carefully at the component galaxies using both the NASA/ESA Hubble Space Telescope and ground-based telescopes, including the VLT. They found evidence suggesting that most of the galaxies in the cluster were not forming stars, but were composed of stars that were already about one billion years old. This makes the cluster a mature object, similar in mass to the Virgo Cluster, the nearest rich galaxy cluster to the Milky Way. Further evidence that this is a mature cluster comes from observations of X-rays coming from CL J1449+0856 made with ESA’s XMM-Newton space observatory. The cluster is giving off X-rays that must be coming from a very hot cloud of tenuous gas filling the space between the galaxies and concentrated towards the centre of the cluster. This is another sign of a mature galaxy cluster, held firmly together by its own gravity, as very young clusters have not had time to trap hot gas in this way. The strange name refers to the object’s position in the sky. 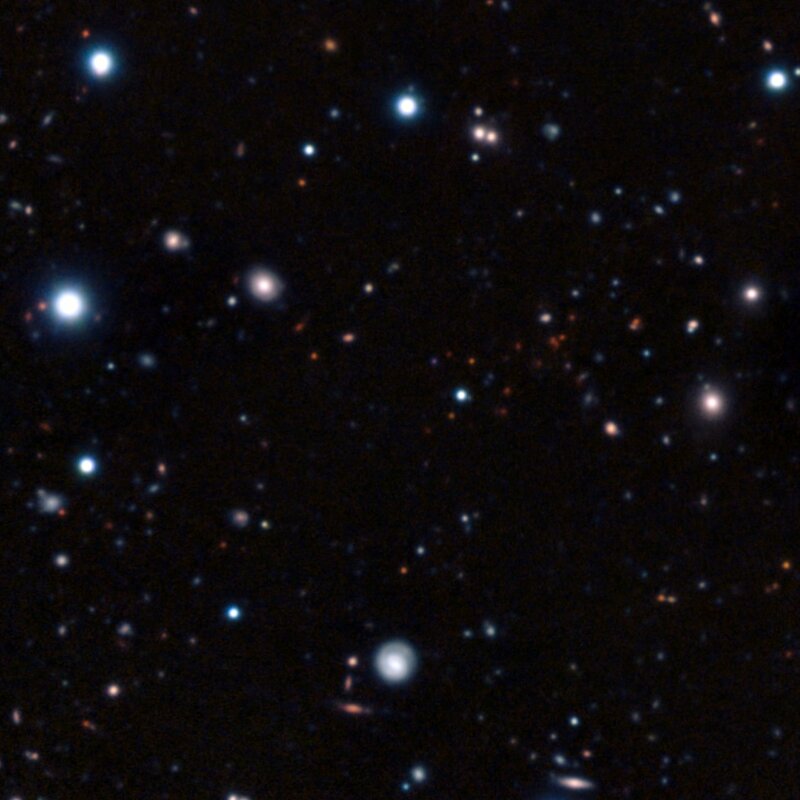 The galaxies appear red in the picture partly because they are thought to be mainly composed of cool, red stars. In addition the expansion of the Universe since the light left these remote systems has increased the wavelength of the light further so that it is mostly seen as infrared radiation when it gets to Earth. 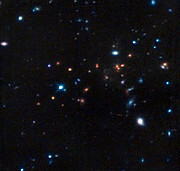 The astronomers measured the distance to the cluster by splitting the light up into its component colours in a spectrograph. They then compared this spectrum with one of a similar object in the nearby Universe. This allowed them to measure the redshift of the remote galaxies — how much the Universe has expanded since the light left the galaxies. 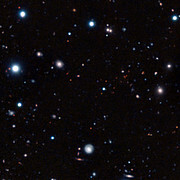 The redshift was found to be 2.07, which means that the cluster is seen about three billion years after the Big Bang. This research was presented in a paper, “A mature cluster with X-ray emission at z = 2.07”, by R. Gobat et al., published in the journal Astronomy & Astrophysics. The team is composed of R. Gobat (Laboratoire AIM-Paris-Saclay, France), E. Daddi (AIM-Paris), M. Onodera (ETH Zürich, Switzerland), A. Finoguenov (Max-Planck-Institut für extraterrestrische Physik [MPE], Garching, Germany), A. Renzini (INAF–Osservatorio Astronomico di Padova), N. Arimoto (National Astronomical Observatory of Japan), R. Bouwens (Lick Observatory, Santa Cruz, USA), M. Brusa (MPE), R.-R. Chary (California Institute of Technology, USA), A. Cimatti (Università di Bologna, Italy), M. Dickinson (NOAO, Tucson, USA), X. Kong (University of Science and Technology of China), and M.Mignoli (INAF – Osservatorio Astronomico di Bologna, Italy).